Cecilia Vindrola-Padros is a Research Associate in the Department of Applied Health Research, University College London, UK. 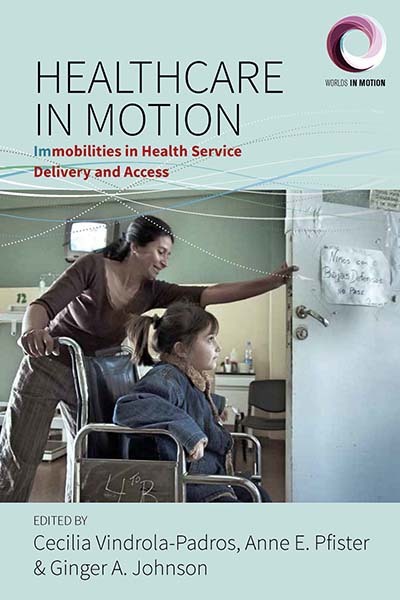 Her recent publications on mobility include work on children seeking medical care. Ginger A. Johnson is a Visiting Assistant Professor at Southern Methodist University. She has recently worked in West Africa, conducting Ebola-related research with the International Federation of the Red Cross. Her current research projects include addressing adolescent nutritional needs for the World Food Programme in Cambodia and ensuring social accountability for maternal and child health for UNICEF in Malawi. Anne E. Pfister is Assistant Professor of Anthropology at the University of North Florida. Her research investigates how deaf youth and their families experience deafness in Mexico City by integrating sociocultural linguistic theory with biocultural medical anthropology analyses.